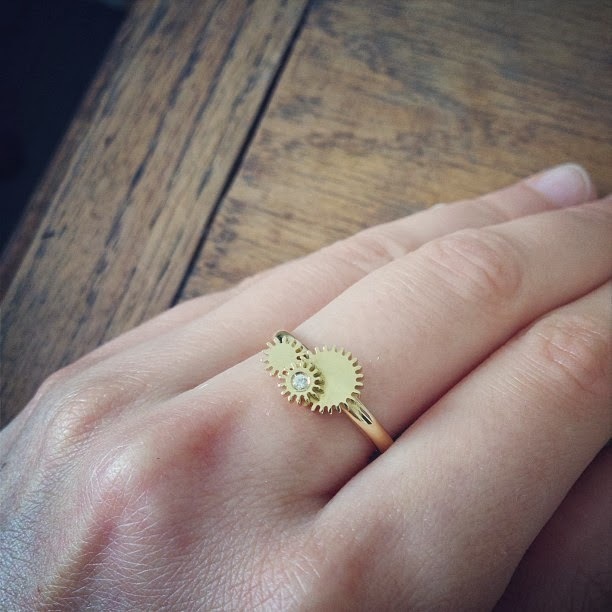 As an avid follower of independent jewellery designers on various social media platforms I find instagram to be the best source for instantaneous news and behind the scenes visuals. We get a sneak peek of new collections, the making processes, emerging discoveries, their inspirations and also to get acquainted with the designers themselves. For me, pictures taken personally by the designers are much more signifcant than professionally taken images. We absorb their stories and what inspires them, creating an understanding and communication between the customer and the creator. 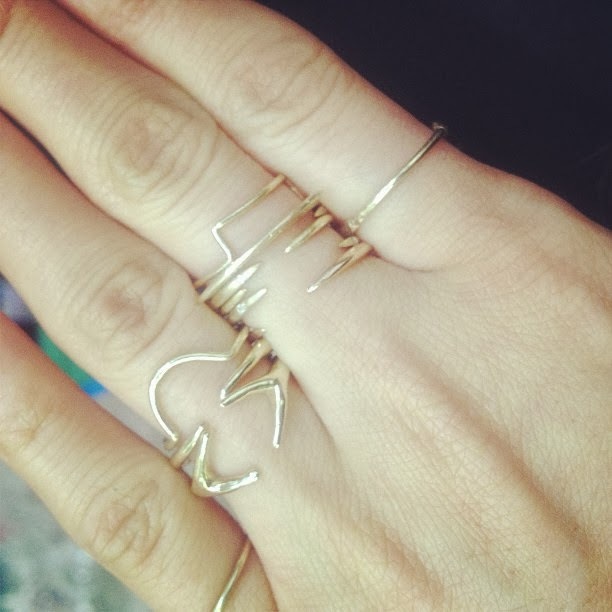 Here I present my top 10 visuals from jewellery designers via instagram: the ring edition. I WILL NOT WEAR ANYMORE BORING RINGS is their reverberating motto and a clear statement of intent. 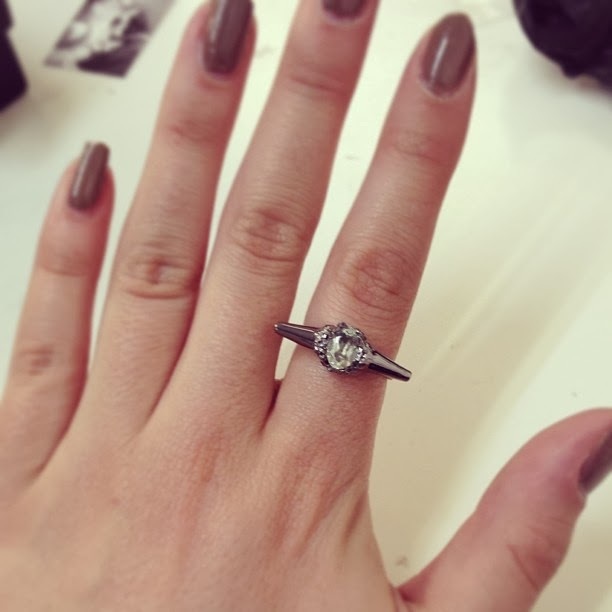 Adoring this gorgeous Quadrant ring. Big, bold and beautiful. Michelle creates visually stunning and awe-inspiring handmade jewellery that are highly textured, intricate and deeply precious. 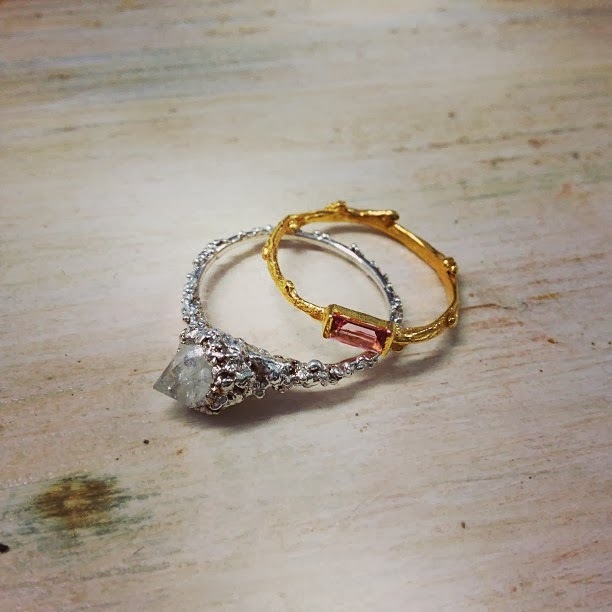 Featuring a gold twig baguette and coral inspired ring; I could easily just stare dreamily at these for hours a day. Inspired by her watch and clock maker father; this triple winding wheel gold & white sapphire ring demysifiy an otherwise masculine and mundane mechanical object. 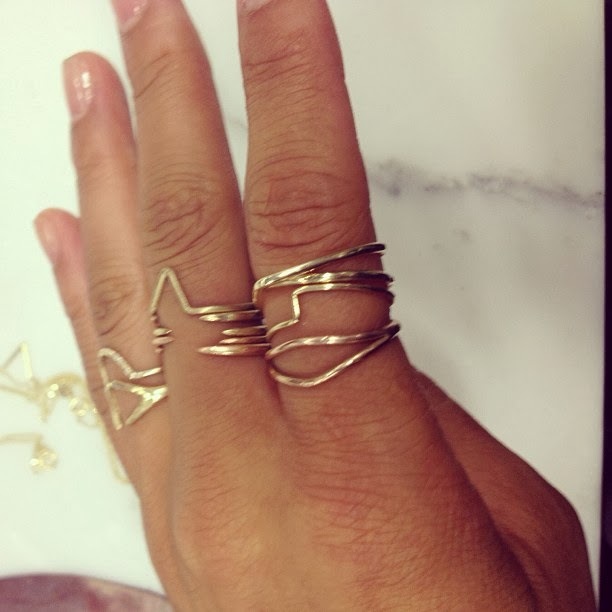 Glamorous, delicate and oh so stackable. Completely spolit for choice with her wide variety of rings in different styles, shapes and textures. 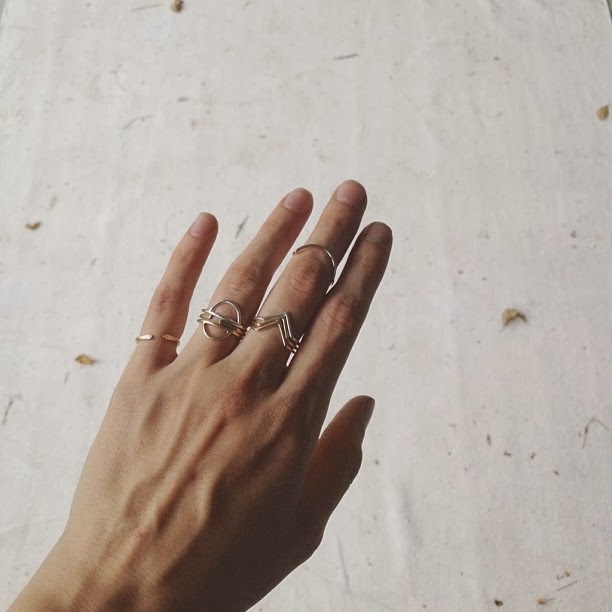 So dainty to the point of stacking requirement is essential yet good enough to be worn on its own as an invisible and subtle ring for casual days. A must see collection. 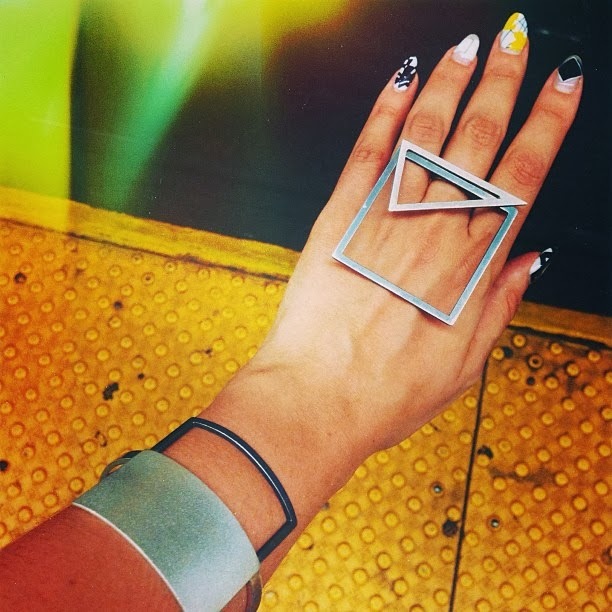 Geometric themed jewellery at its best. These Aaron triangle and Artie square rings looks fantastically edgy when stacked together. Check out her instagram page for varying stacking combinations and her ever-changing wild nails decor! 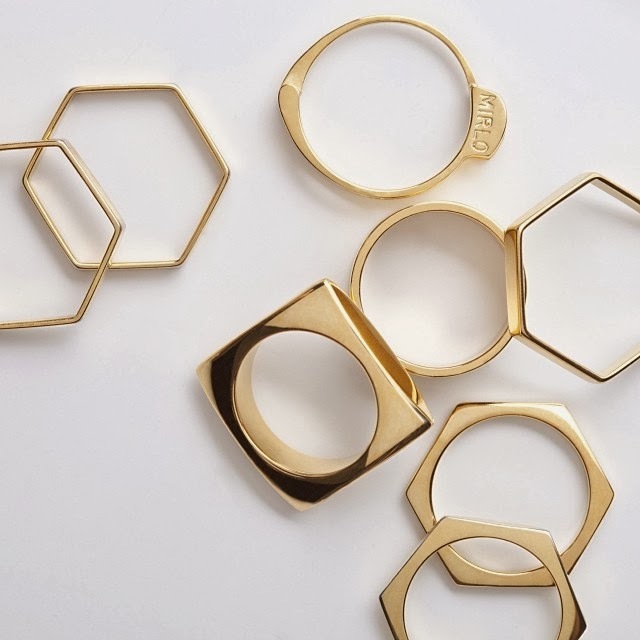 I'm a huge admirer of its creator Hannah Ferrara's wonderful stacking rings collection. 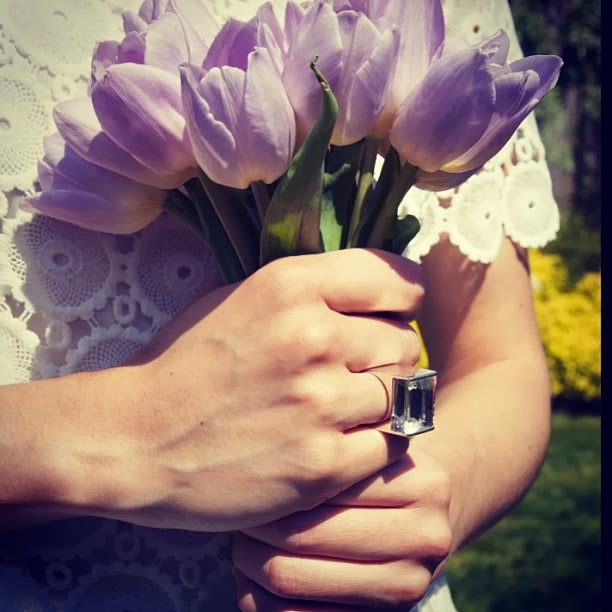 Its varying shapes and styles allows the wearer to create an individual look and its versatility means you have a newer ring(s) to show off everyday. 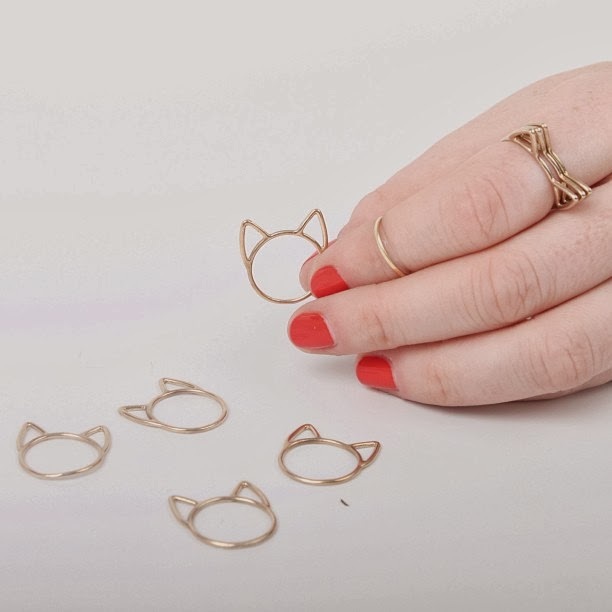 How uber cute are these? Enough said. Beautiful and delicate stacking collection with different textures and forms. 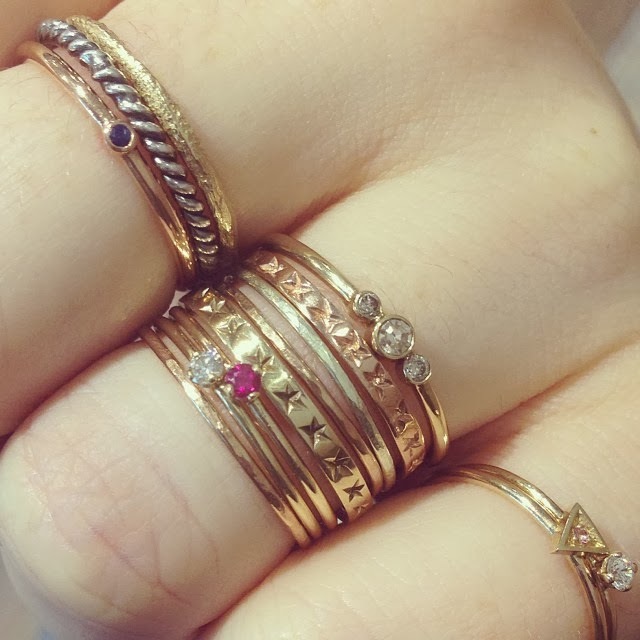 Amongst all these wonderful rings the dainty gold textured ring sitting alongside the rope ring is a winner for me.